Special bench dedication ceremony & ribbon cutting followed by light refreshments. 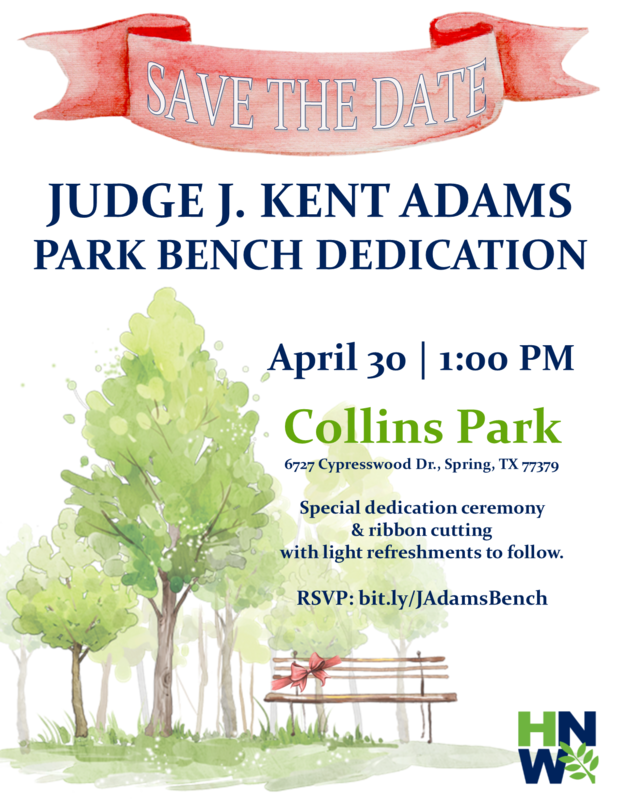 Join us to honor the memory of Judge J. Kent Adams. Please RSVP using the link above.